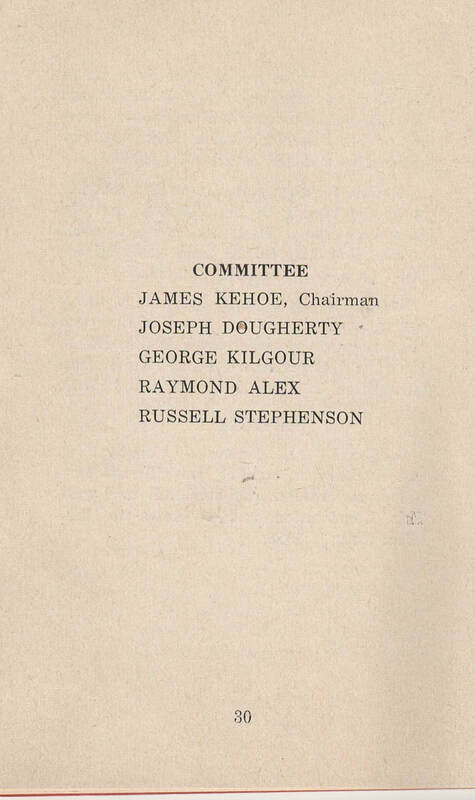 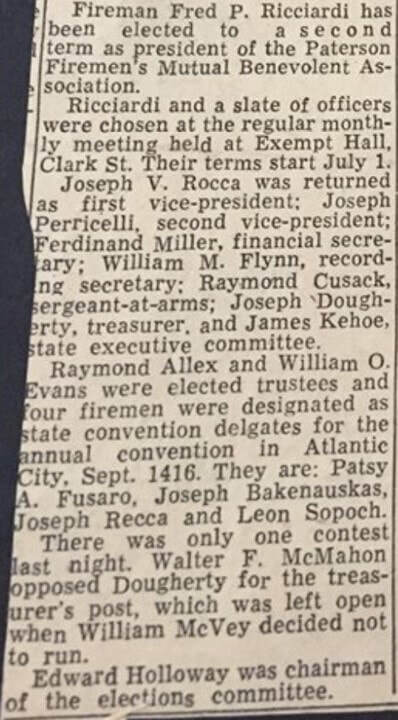 Patrick Curran was elected Chairman and Horatio M. Lane secretary. 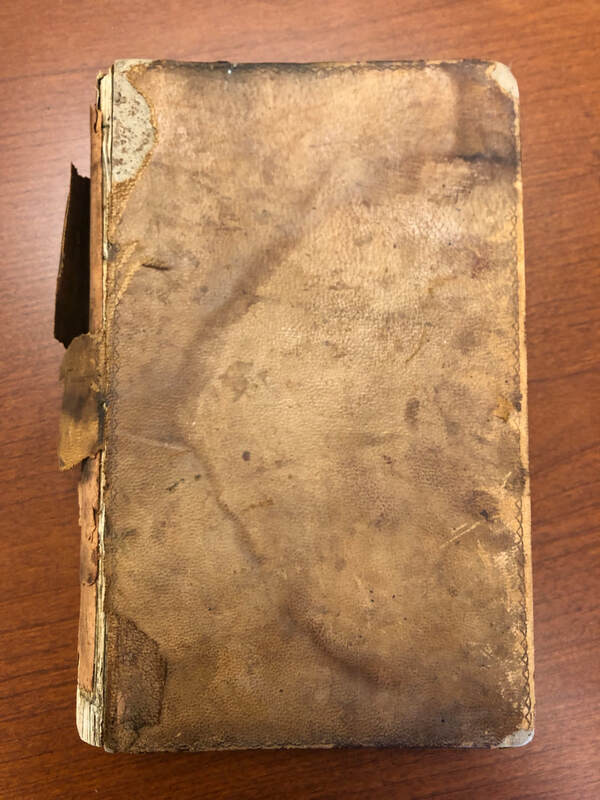 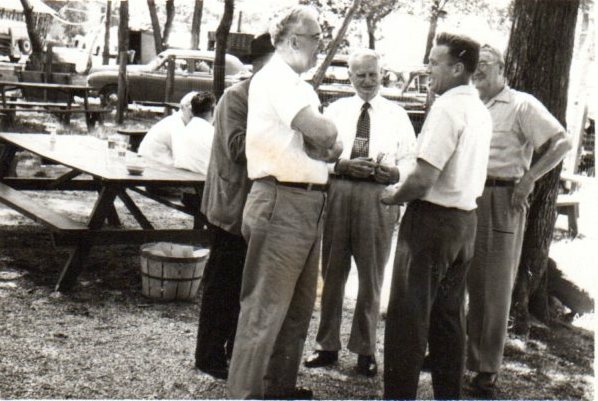 William Sykes was authorized to procure a constitution. 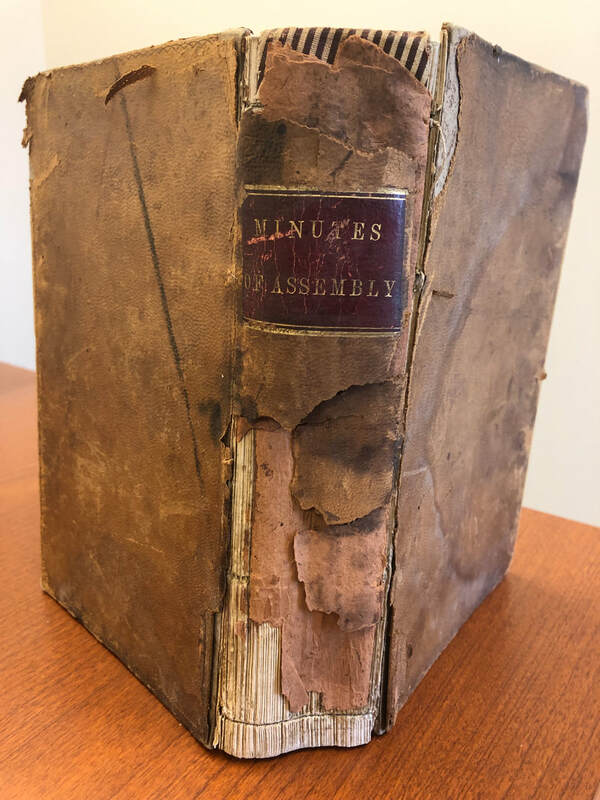 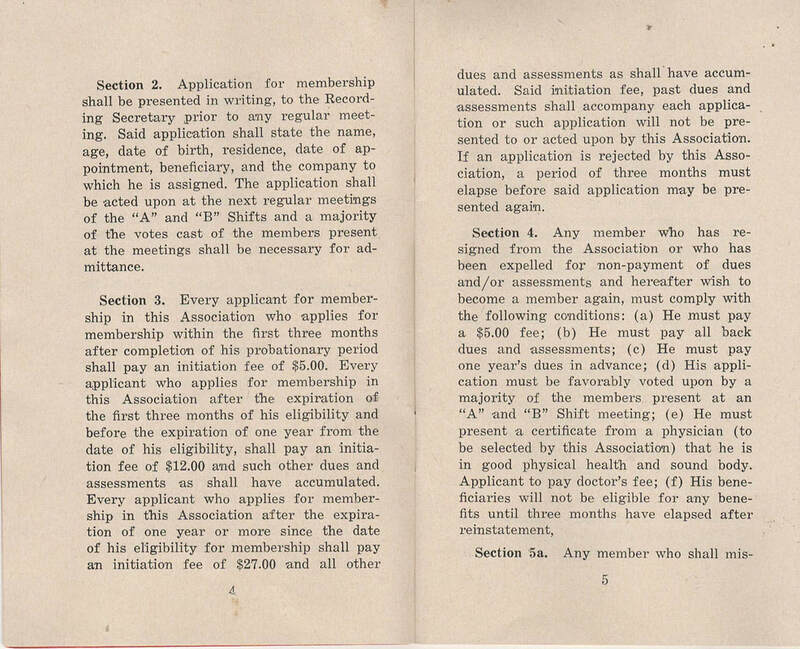 December 2, 1851: A code of by-laws was adopted and fairly launched. 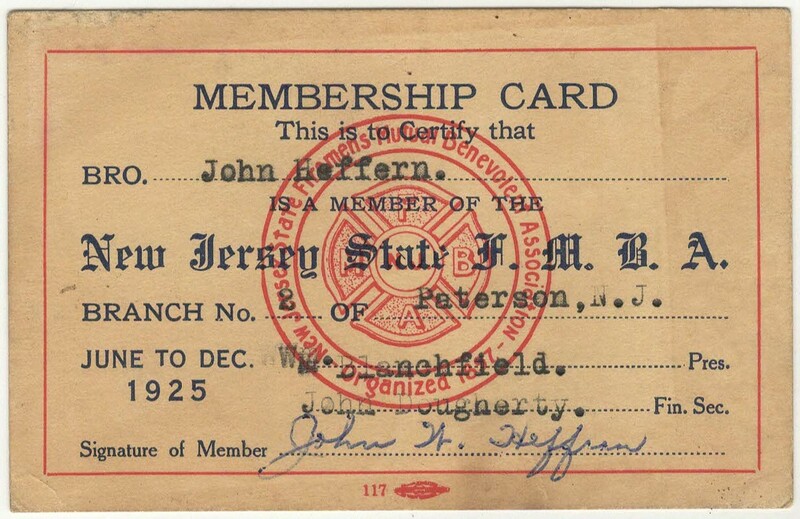 From that day forward the organization has been useful in charitable work. 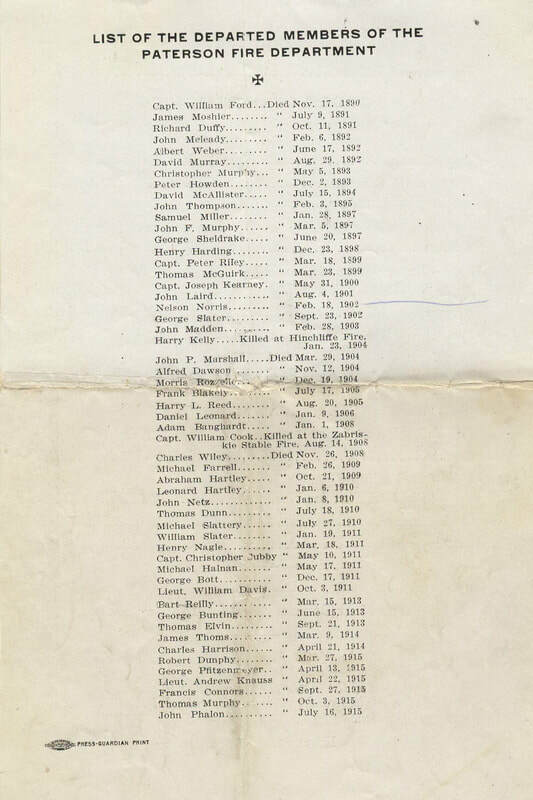 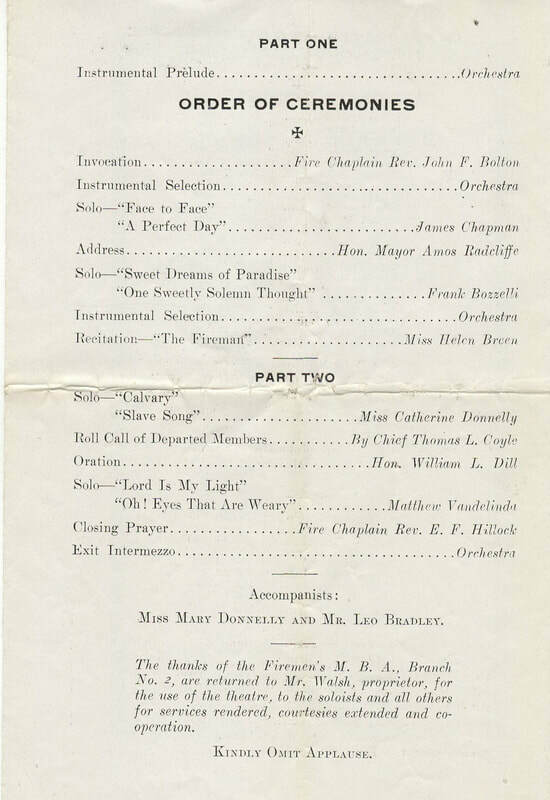 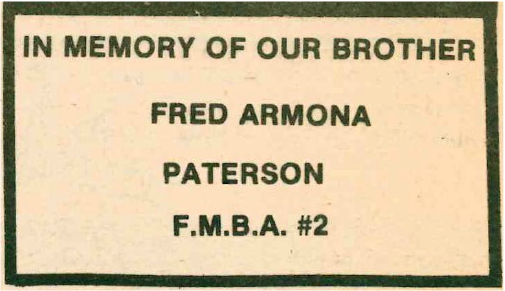 1862, 1868 and 1871 notice of FMBA in the Paterson City Directory. 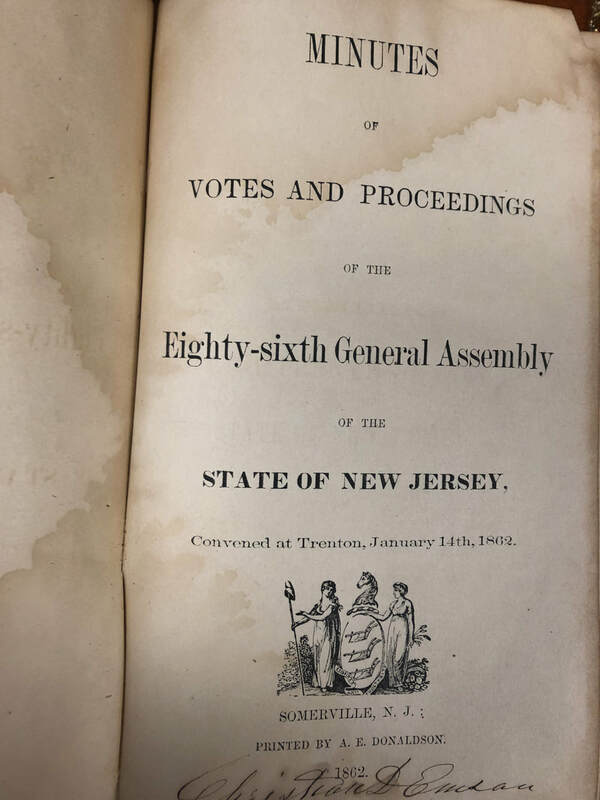 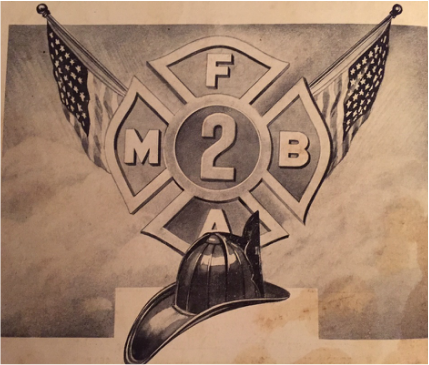 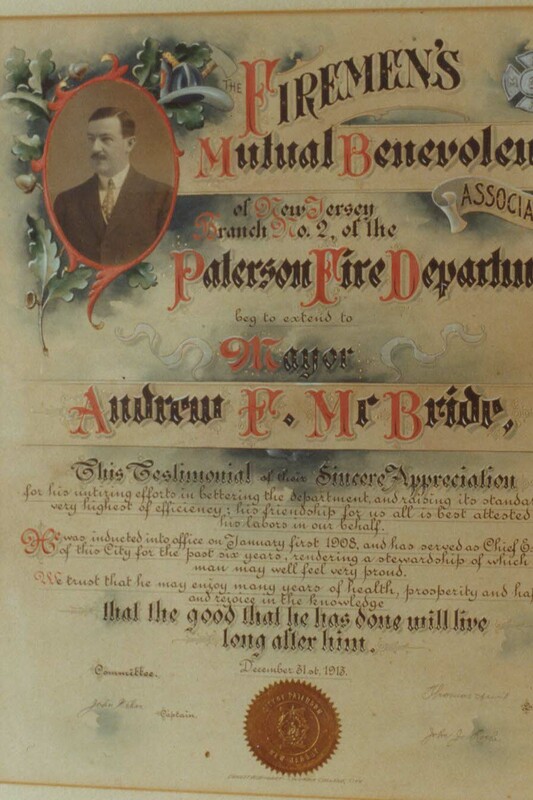 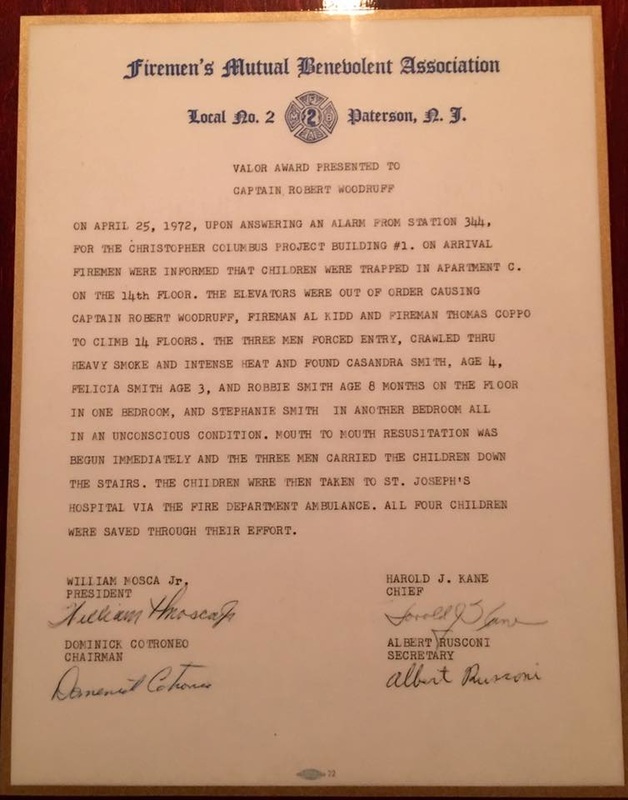 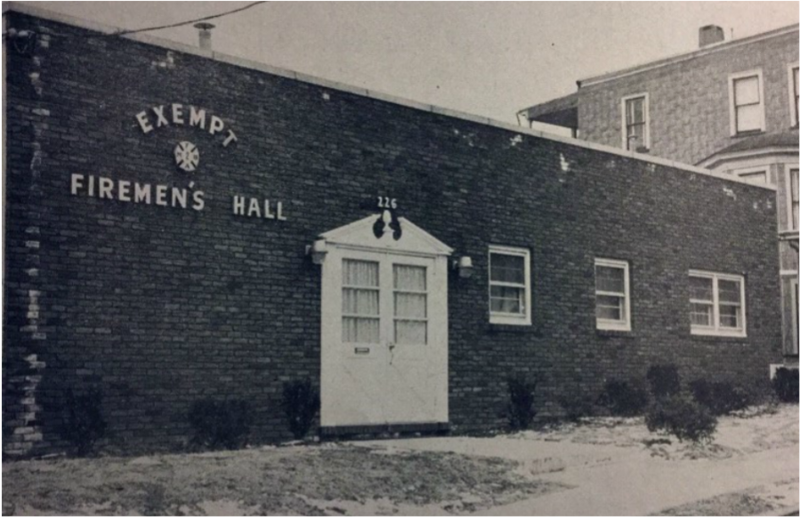 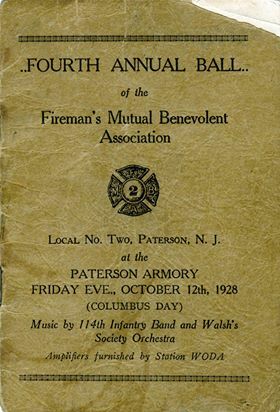 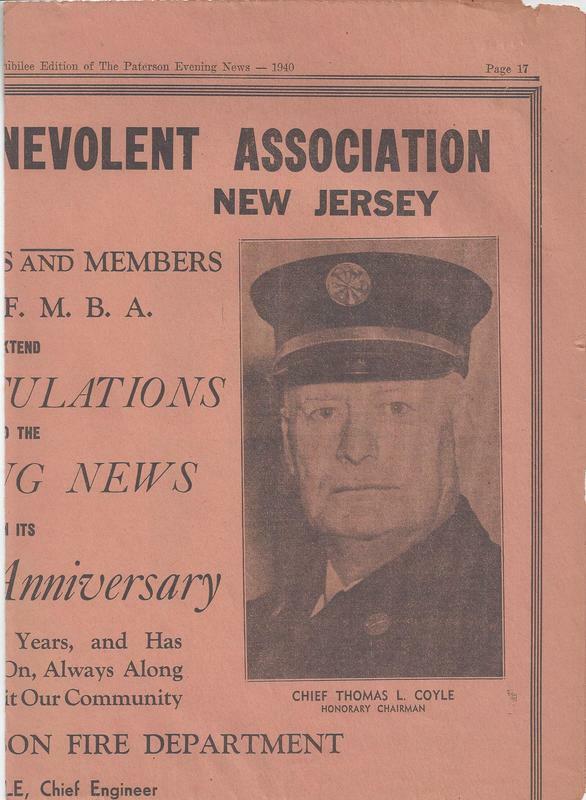 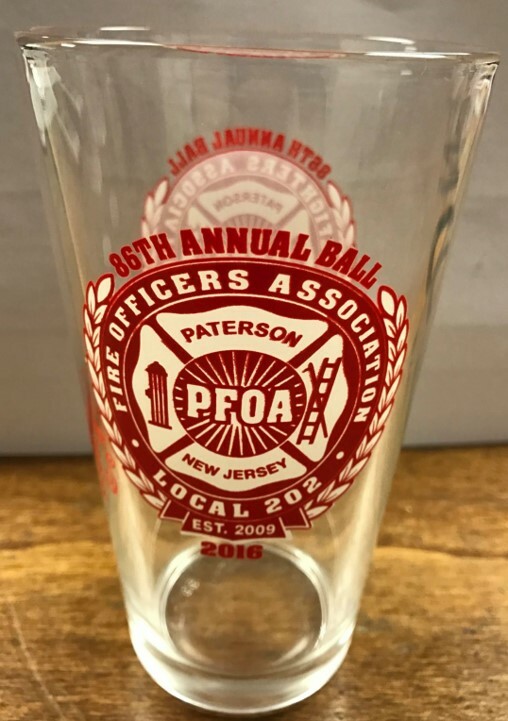 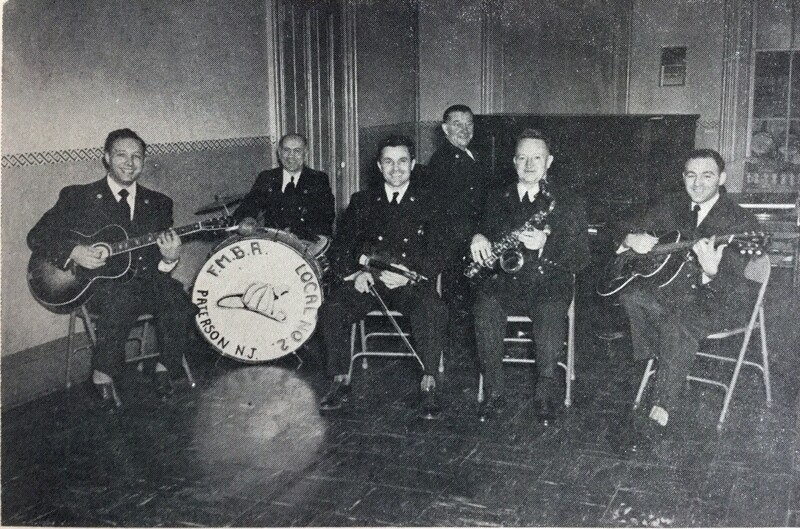 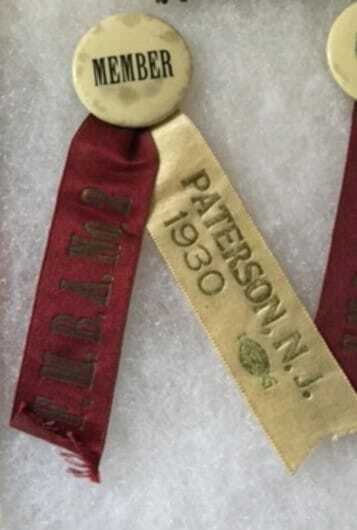 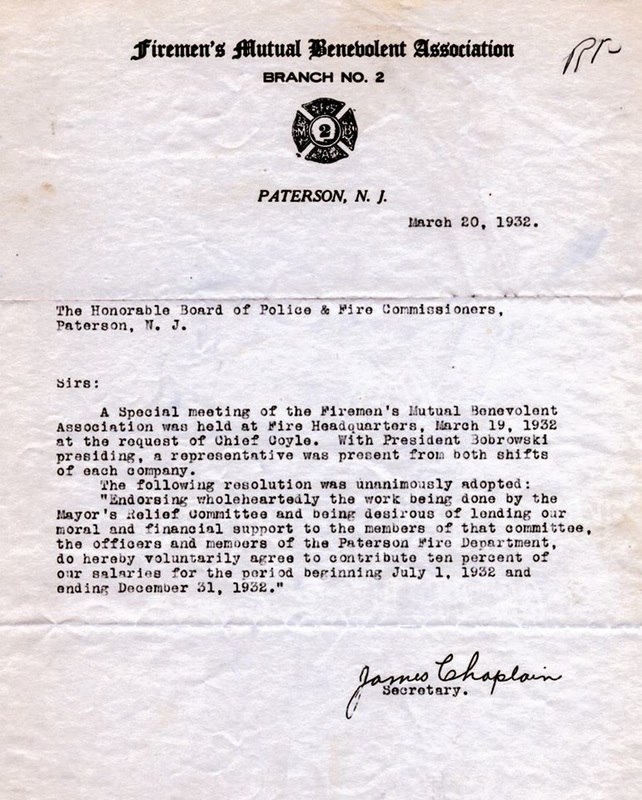 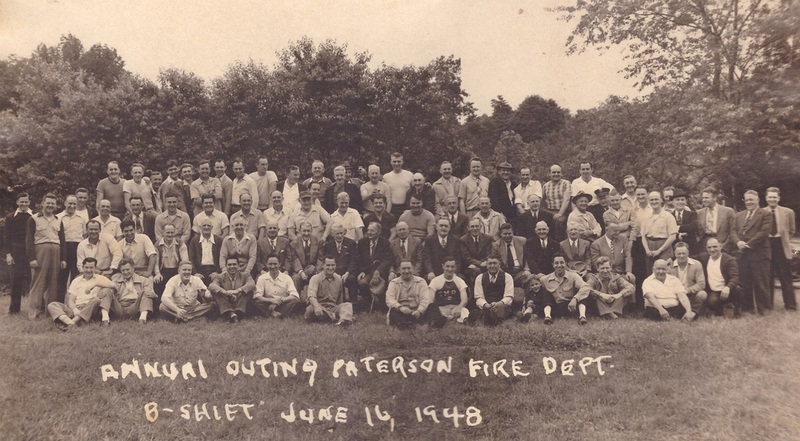 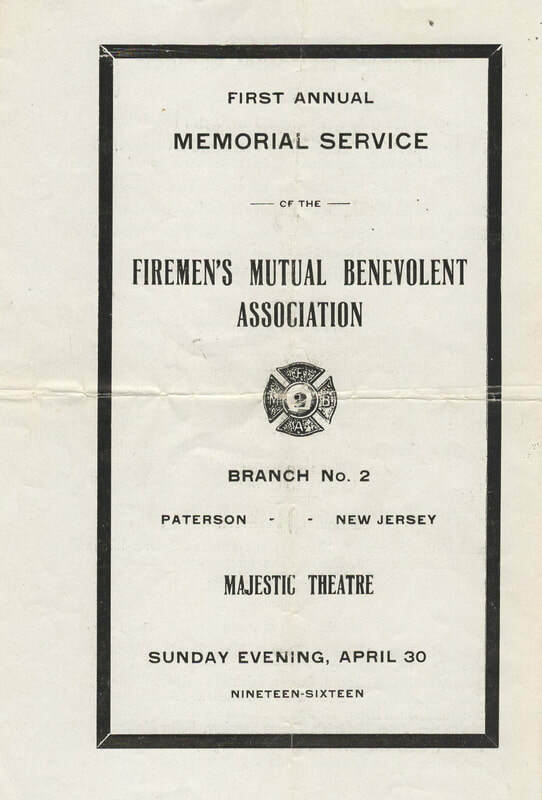 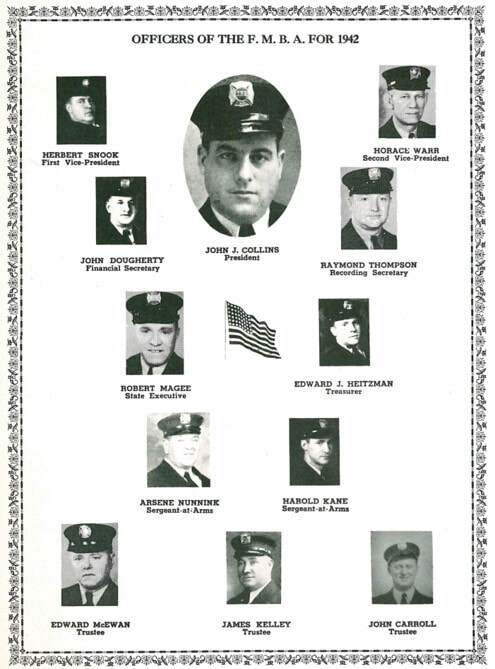 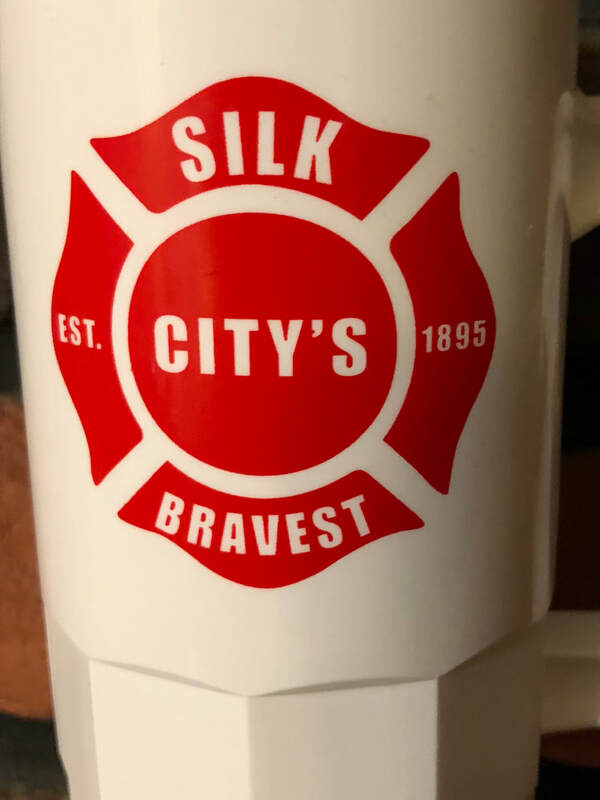 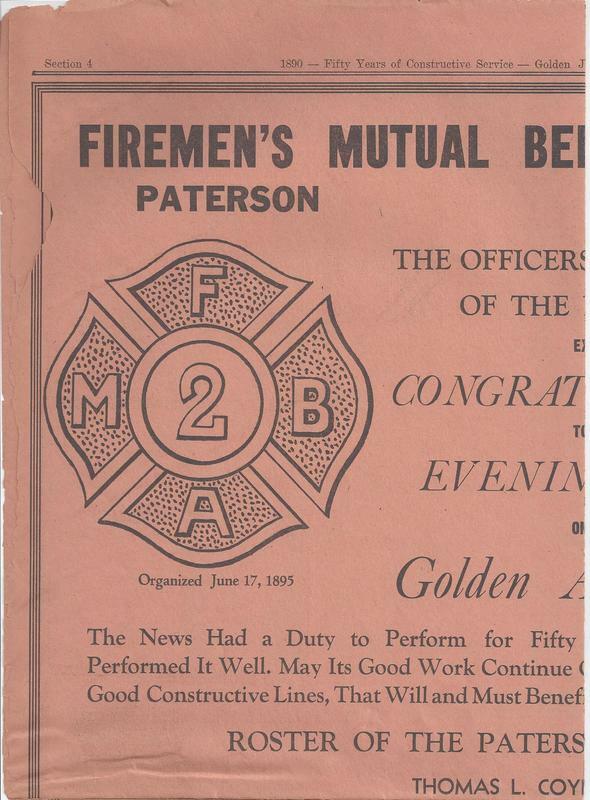 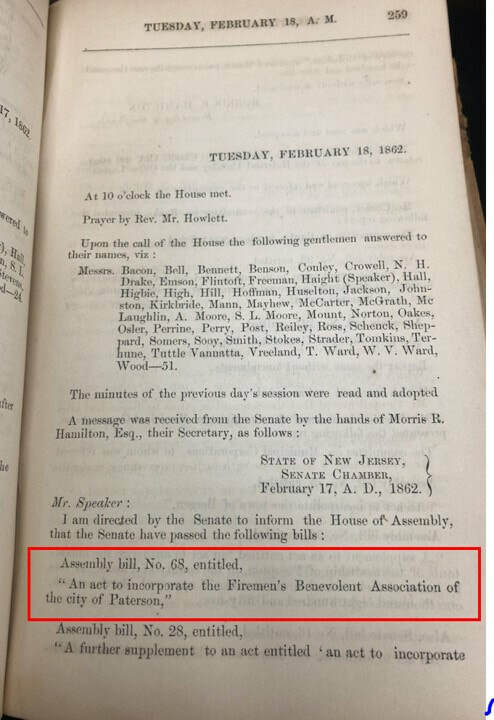 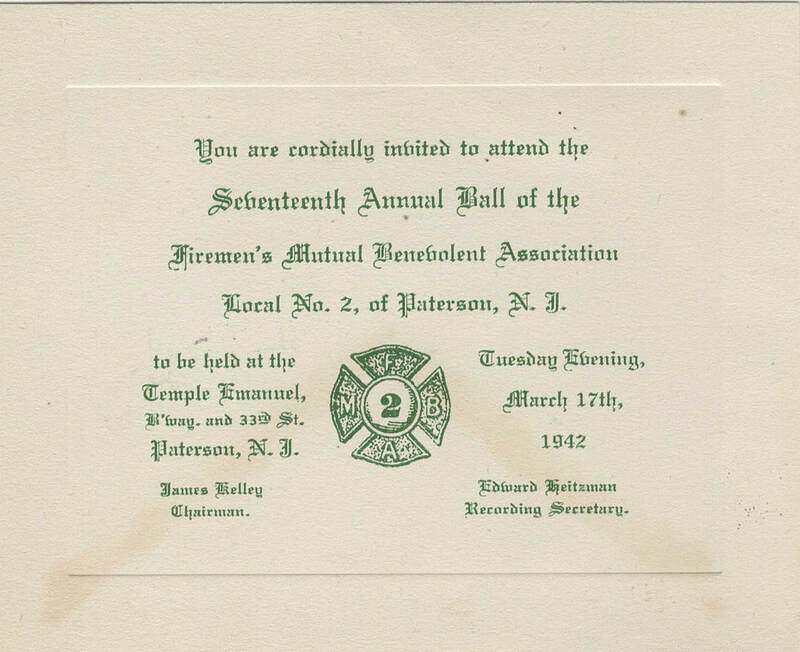 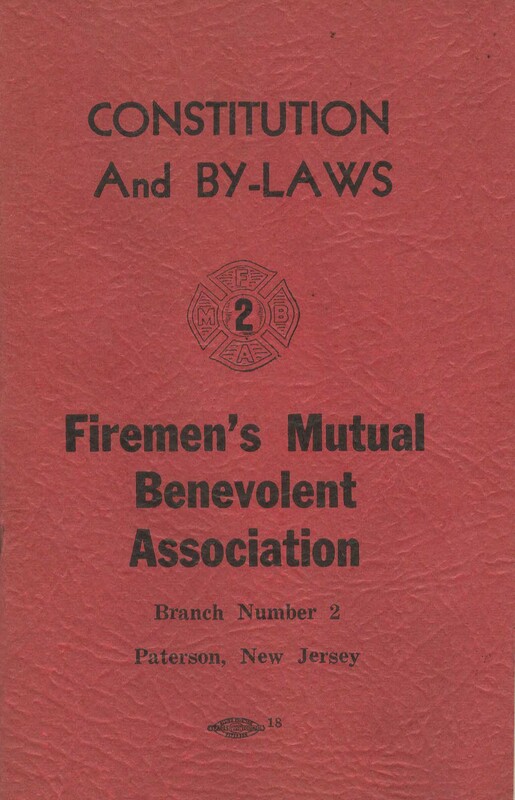 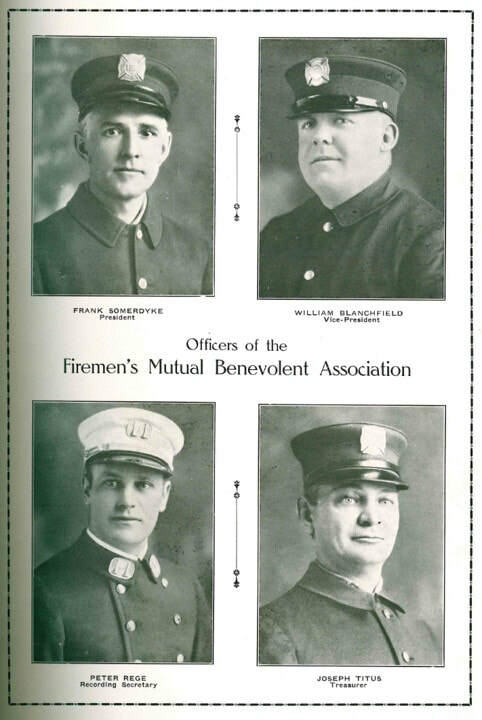 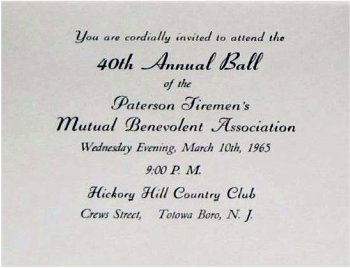 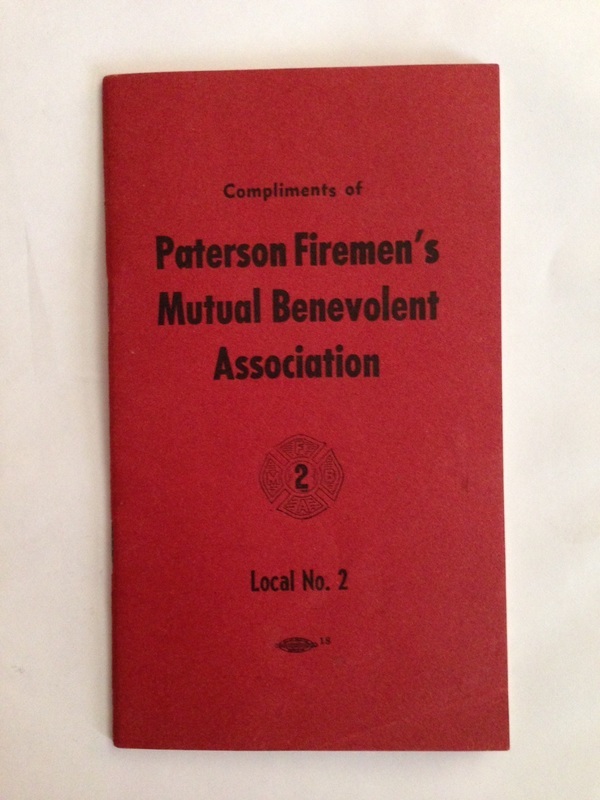 May 20, 1890: Soon after the department was transitioned from Volunteer to paid, the association was reorganized as the Firemen's Benevolent Association of the City of Paterson, NJ. 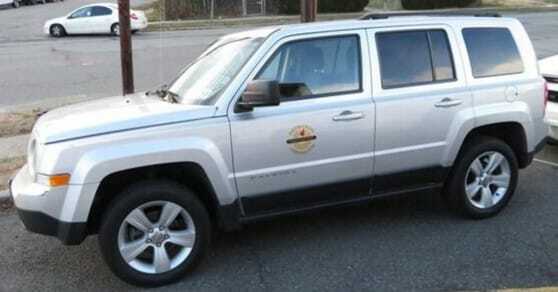 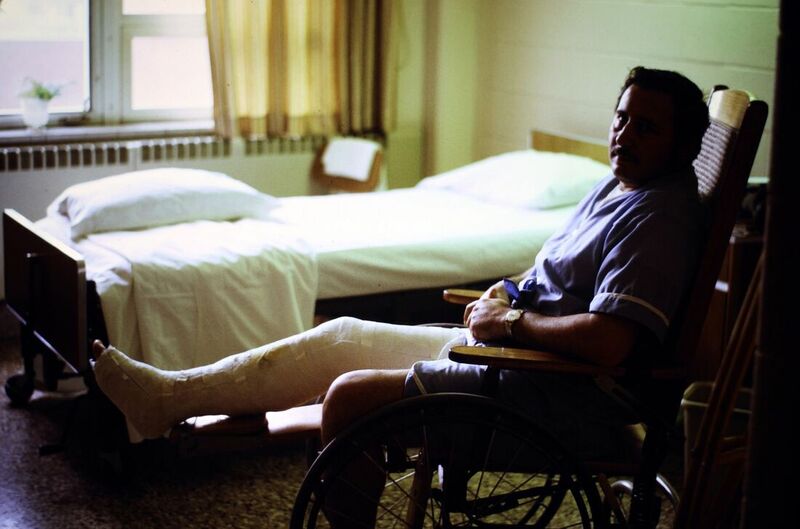 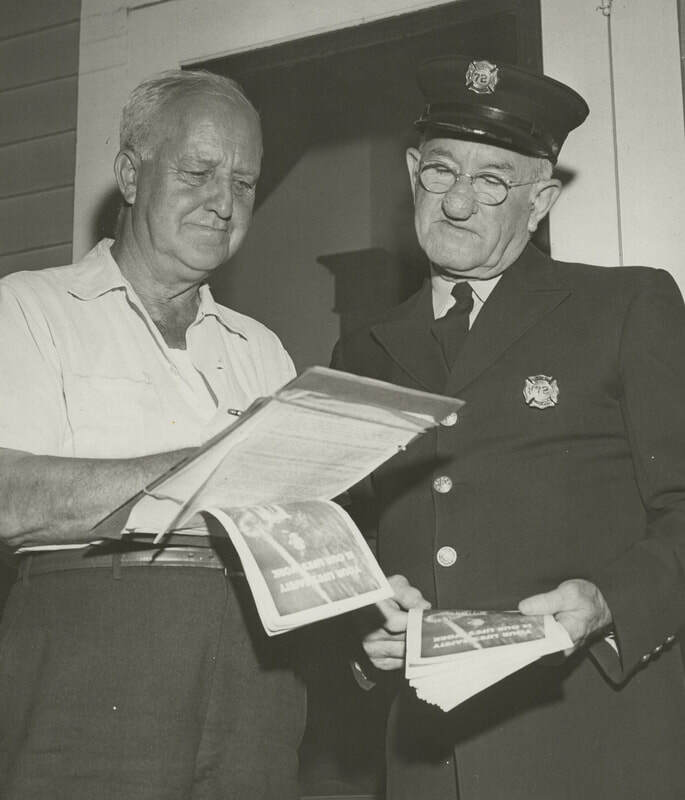 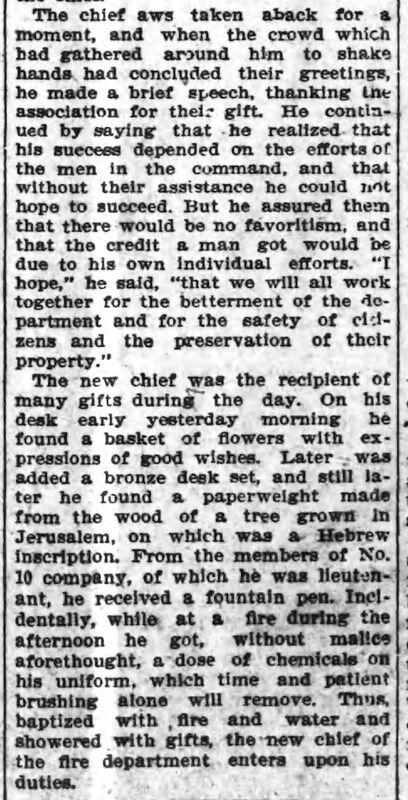 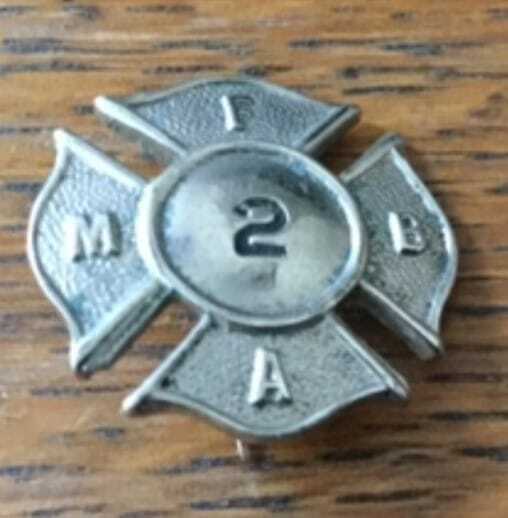 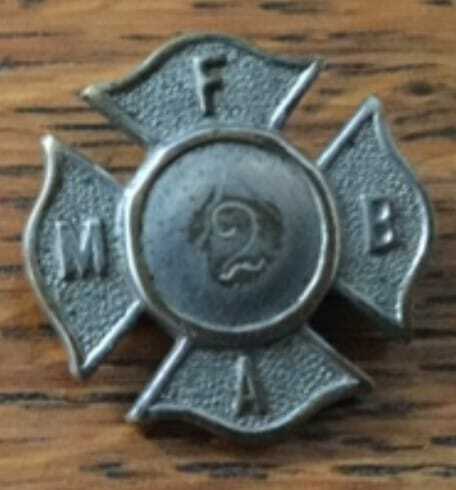 ​Any sick or disabled fireman of the present department was entitled to $7.00 per week. 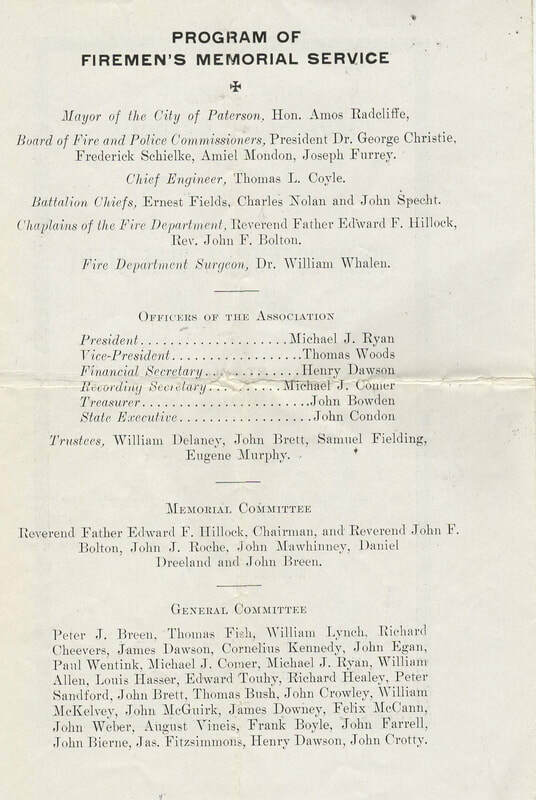 Officers in 1890; William Campbell President; William Douglass Vice President; Nathaniel Quackenbush Secretary; John McKiernan Treasurer; Thomas Whowell & William Cook & William Ball are the Finance Committee. 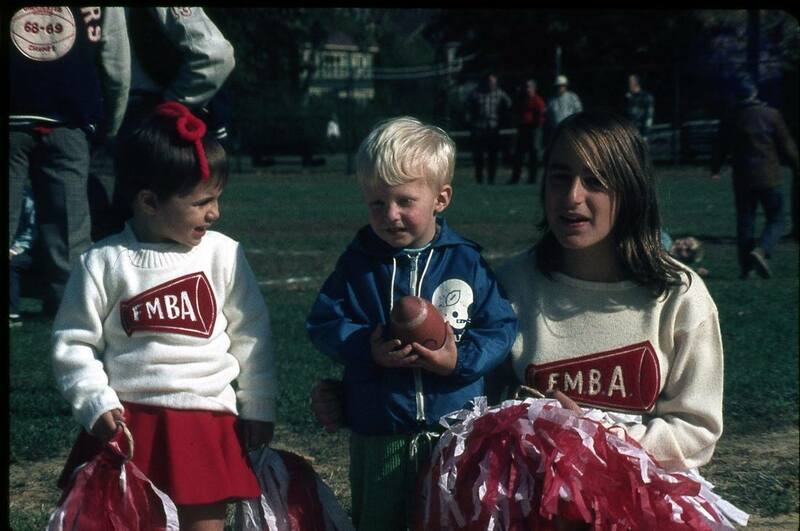 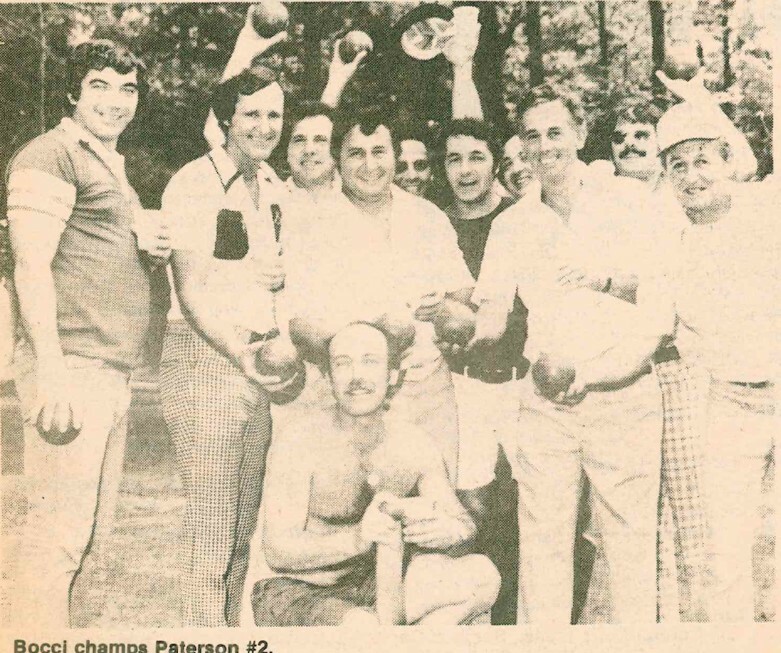 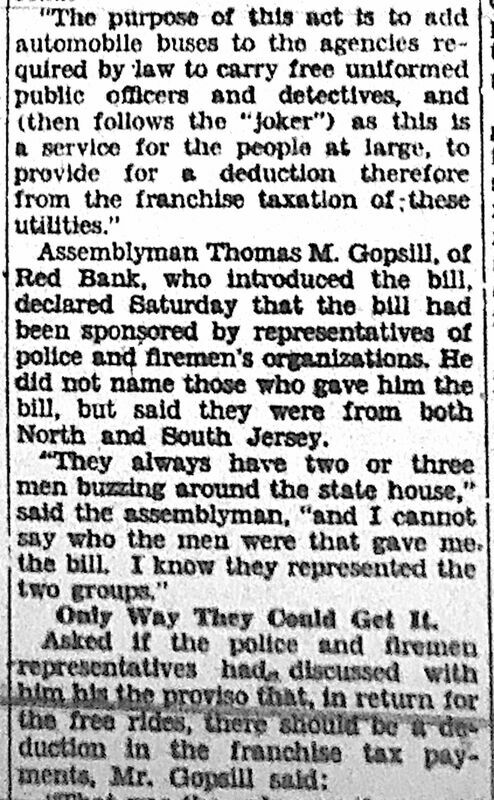 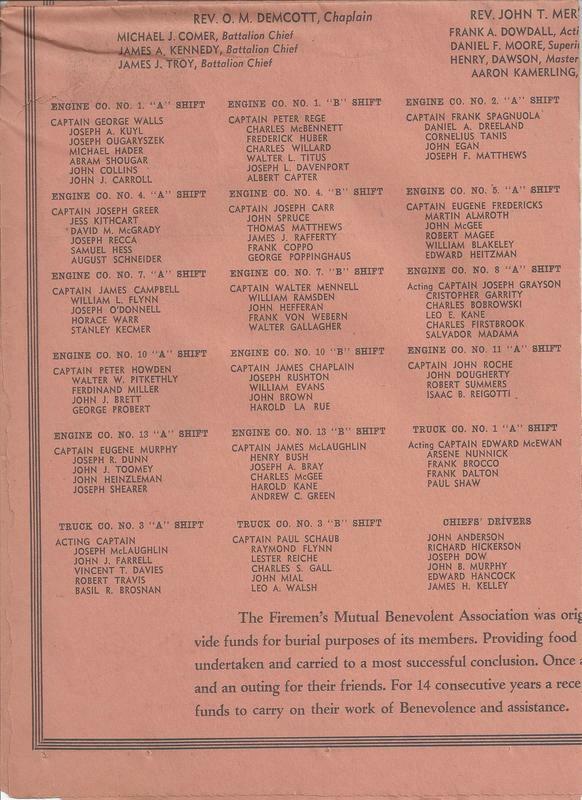 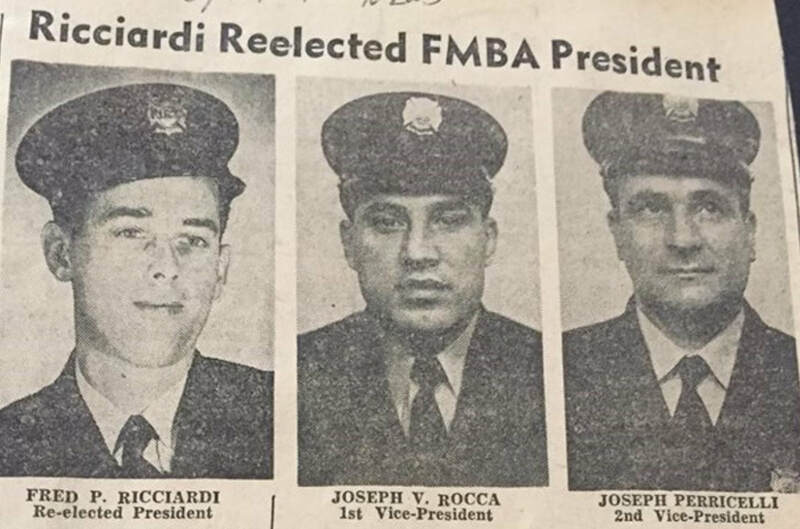 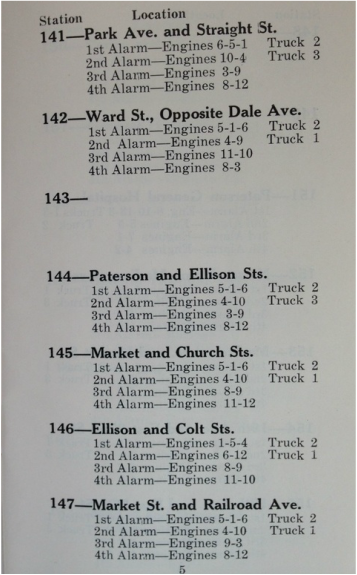 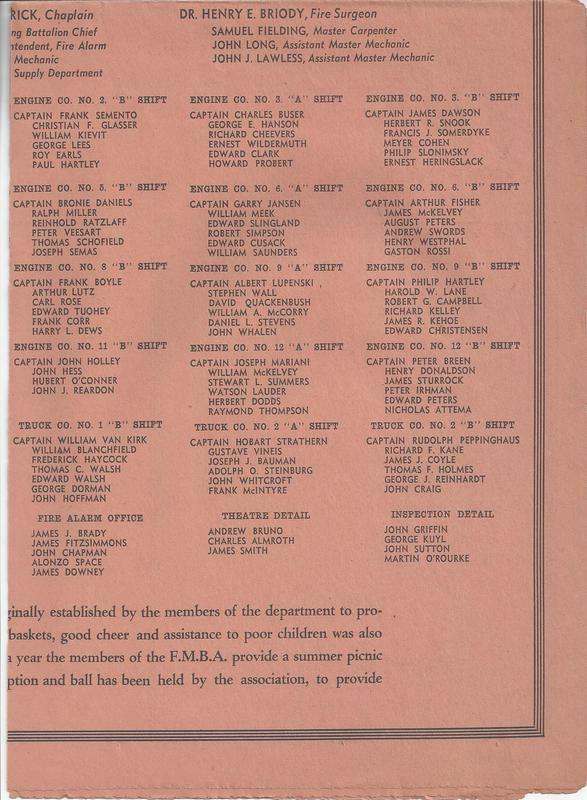 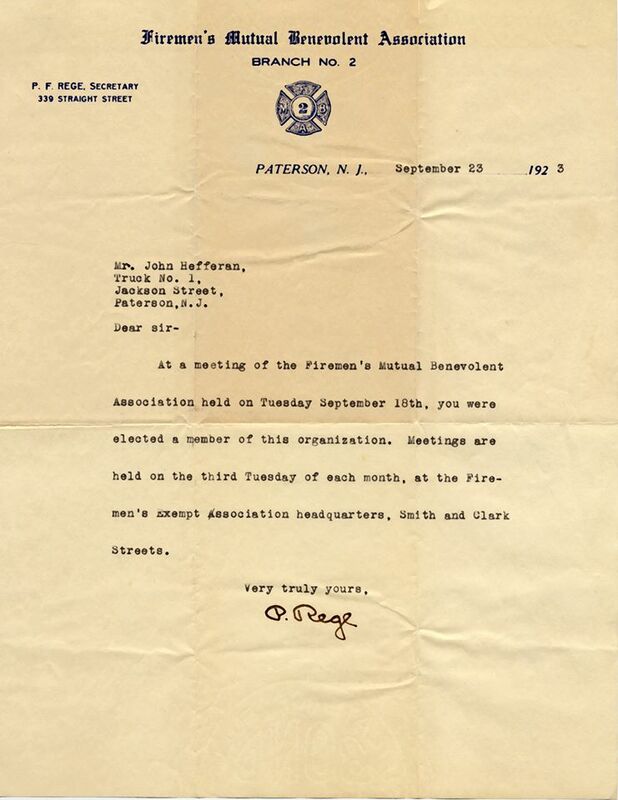 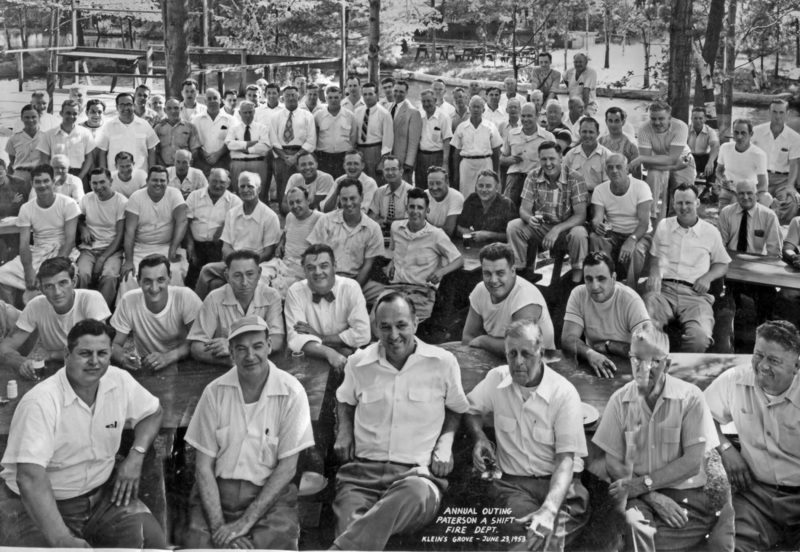 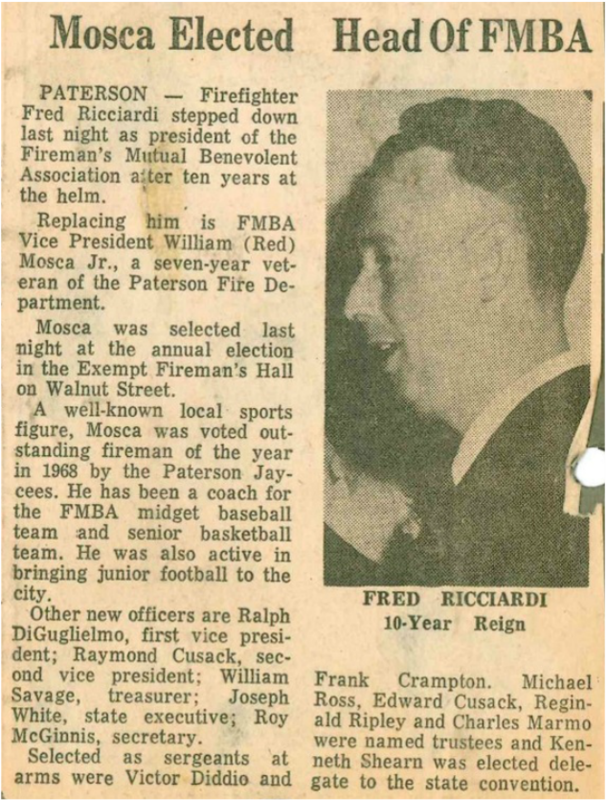 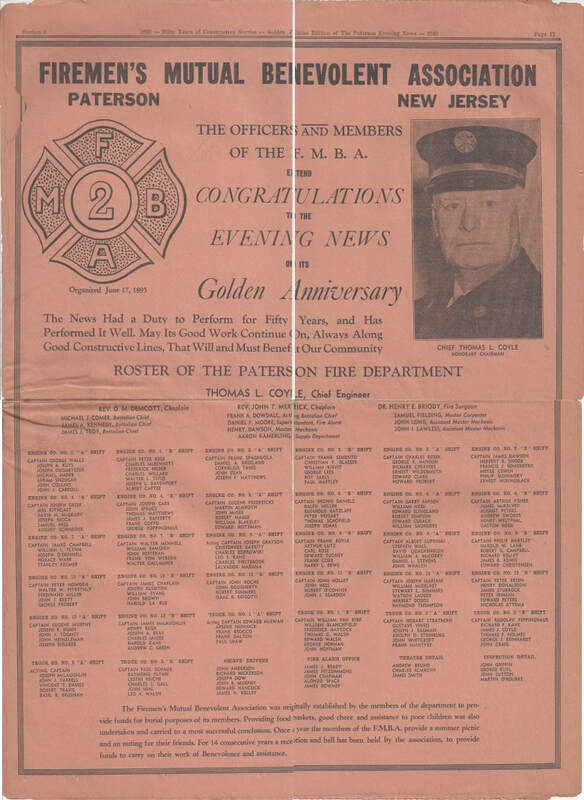 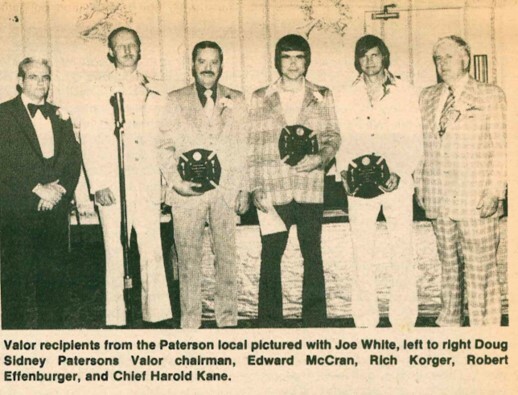 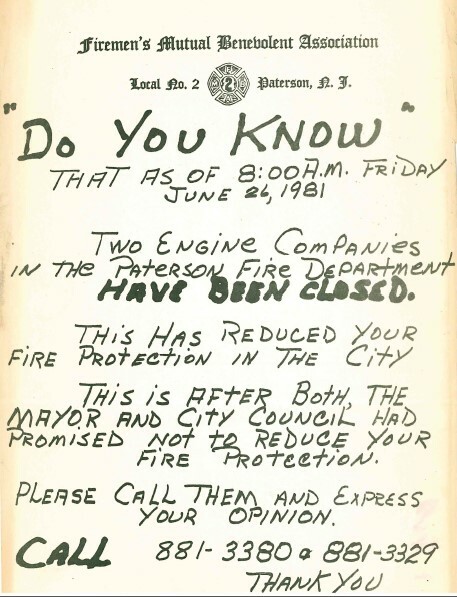 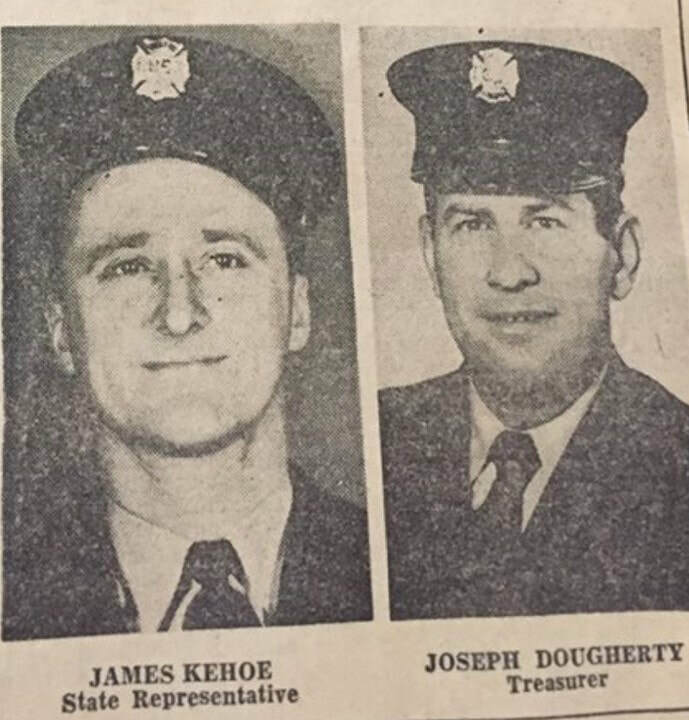 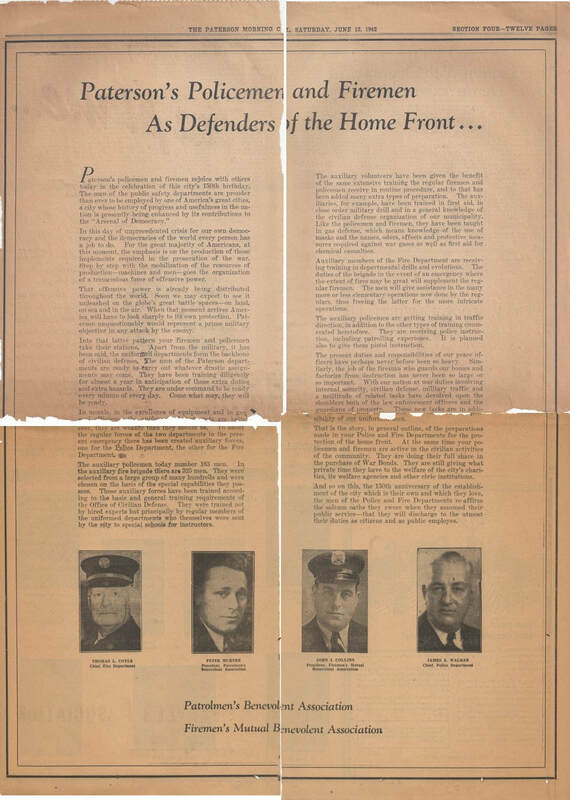 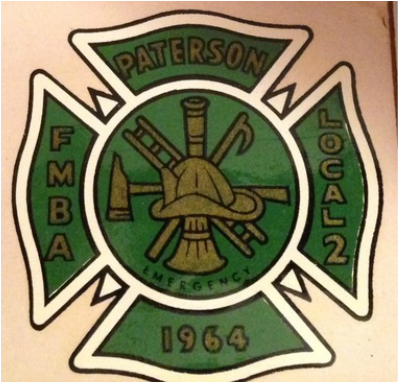 November 1974: Paterson firemen voted to retain the FMBA as the exclusive bargaining agent for their members. 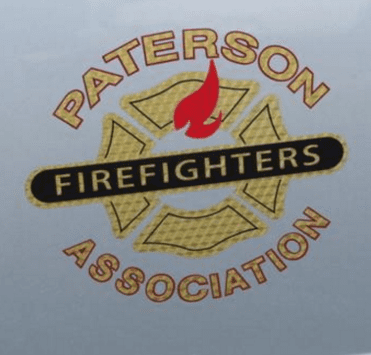 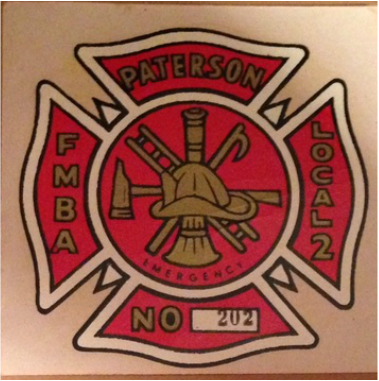 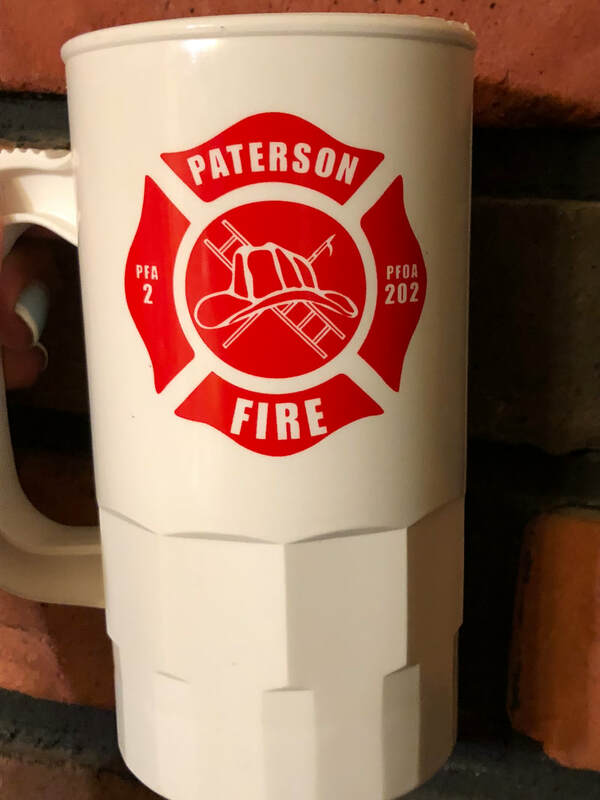 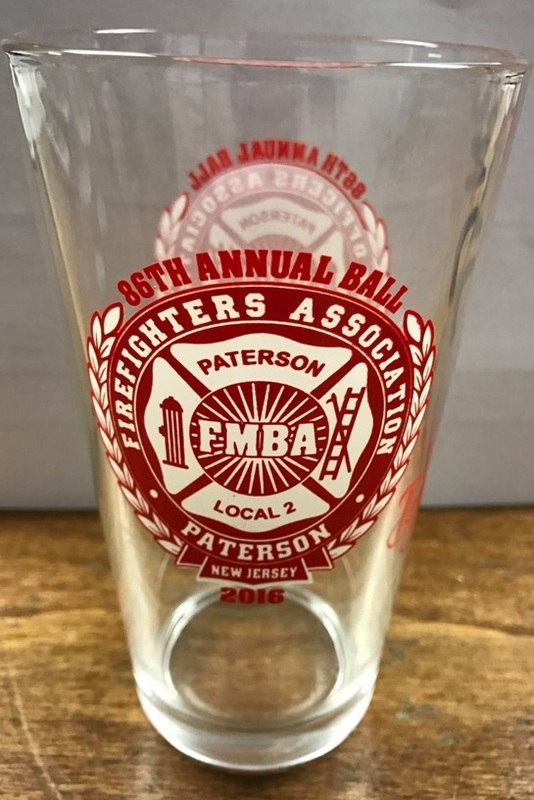 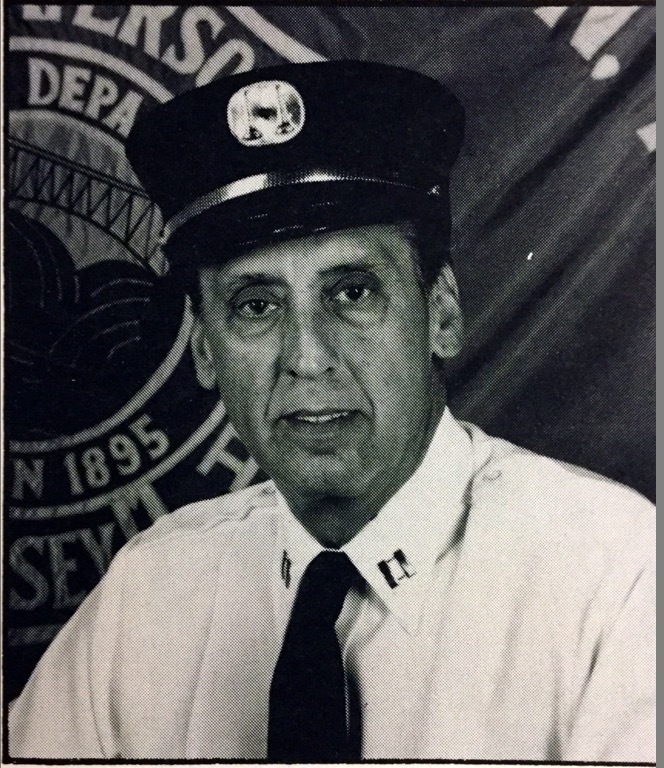 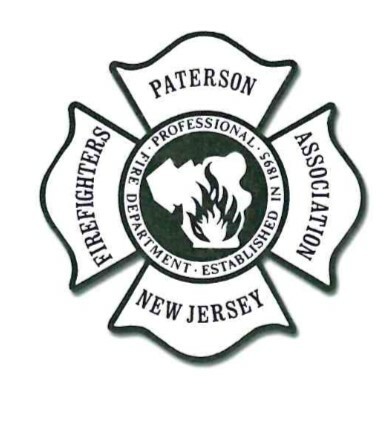 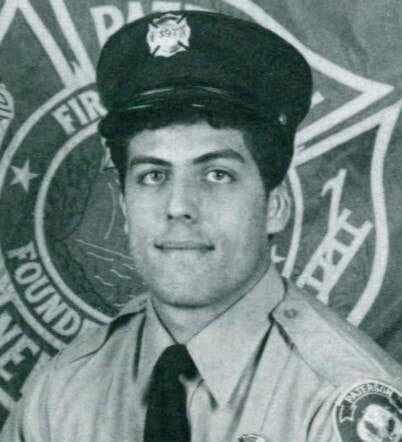 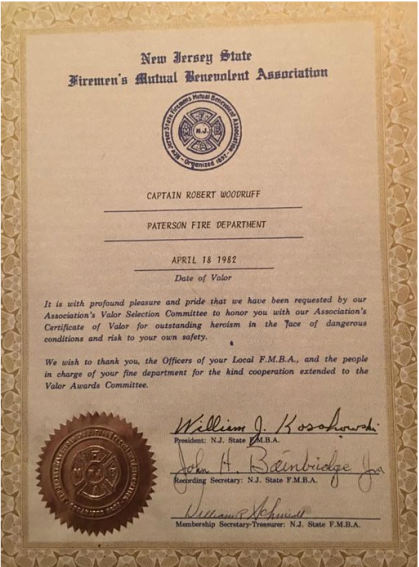 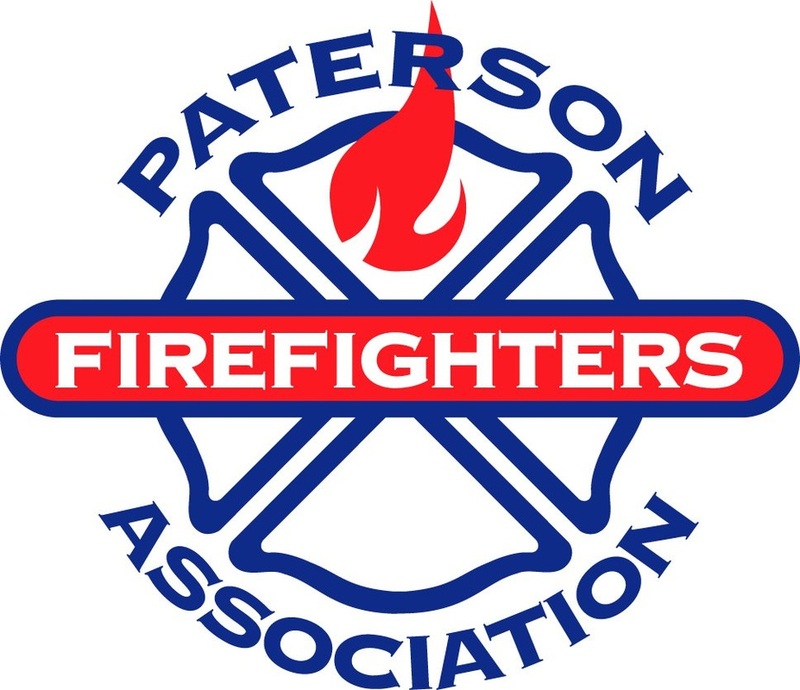 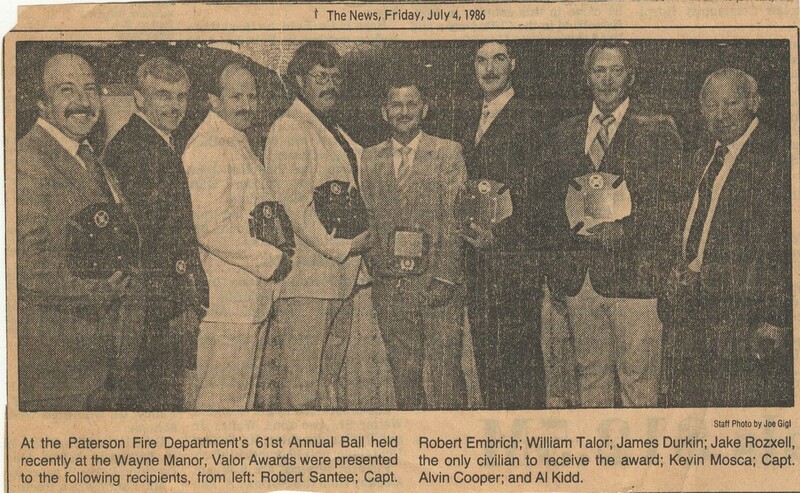 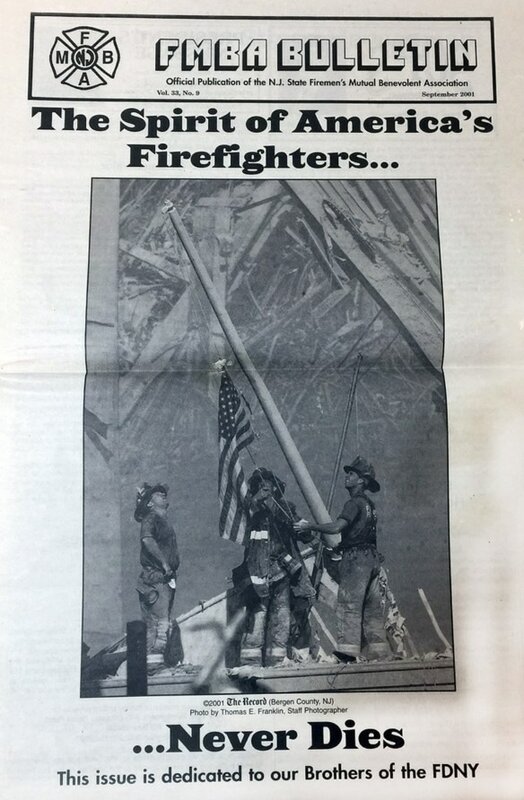 ​December 1, 1992: The Paterson Fire Department members decided to withdraw from the state FMBA and established the Paterson Fire Association. 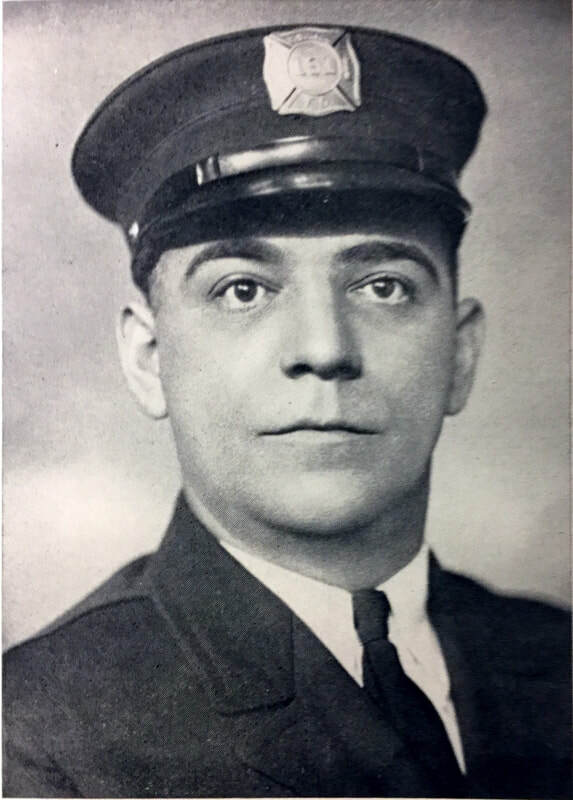 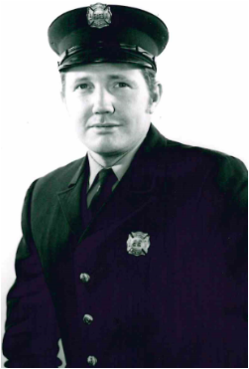 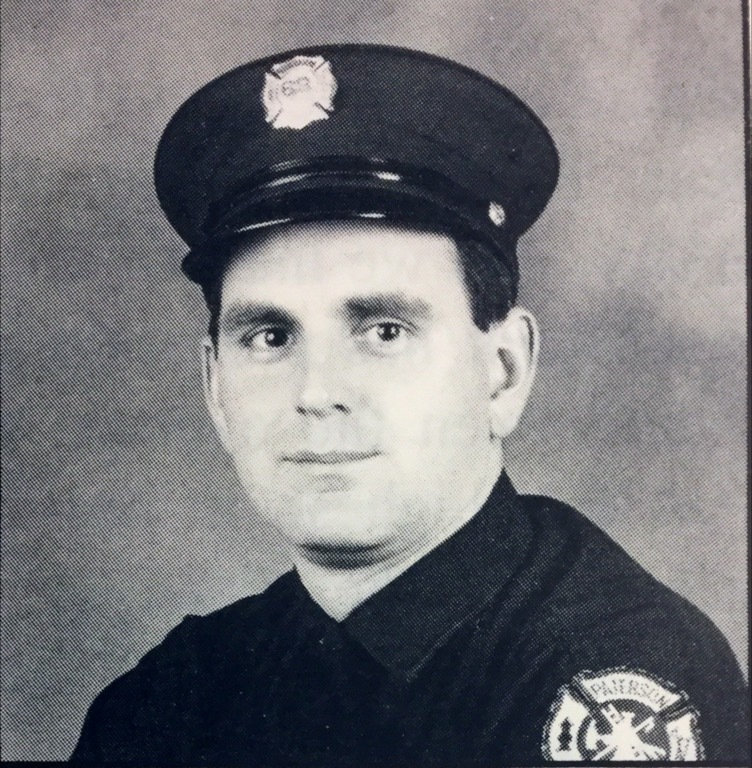 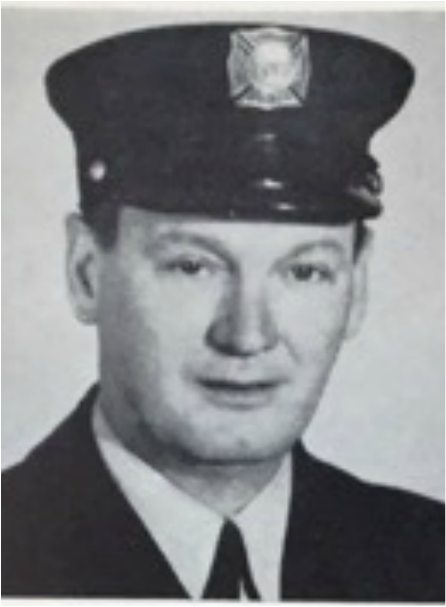 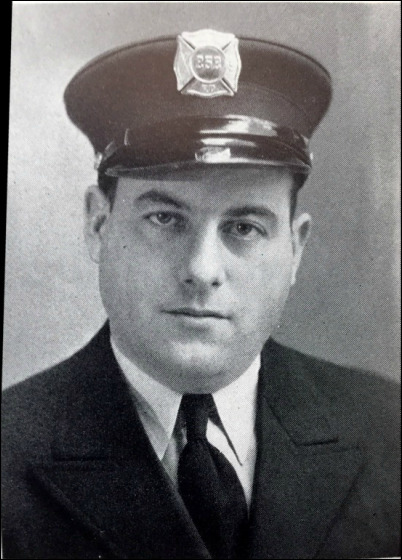 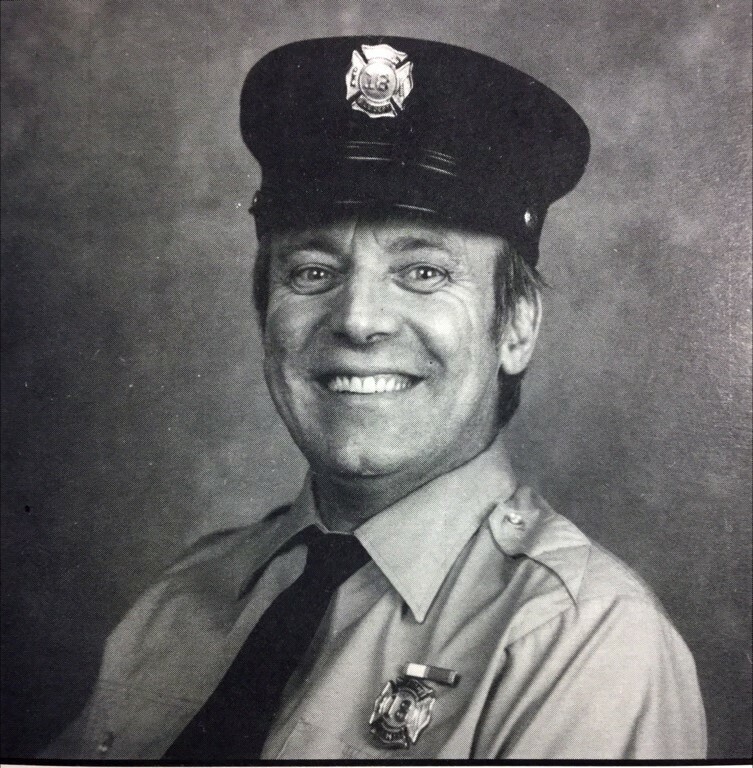 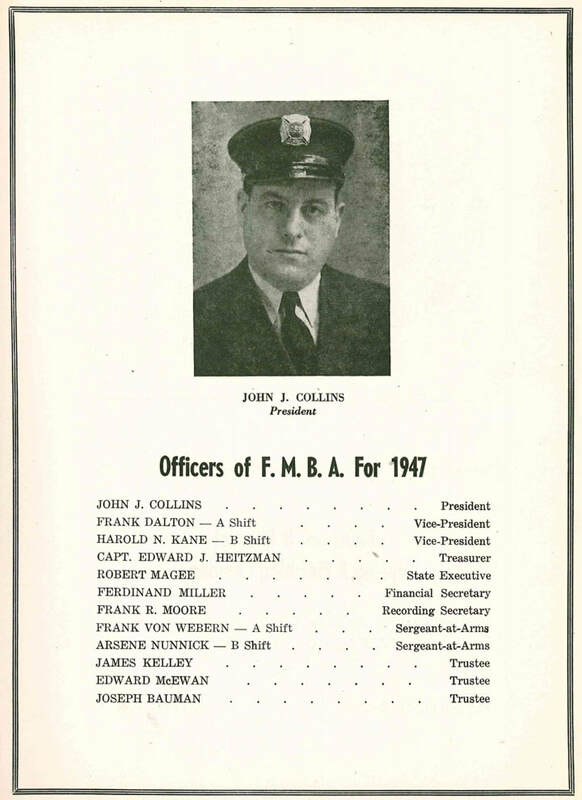 Firefighter Glen Vetrano is the first president. 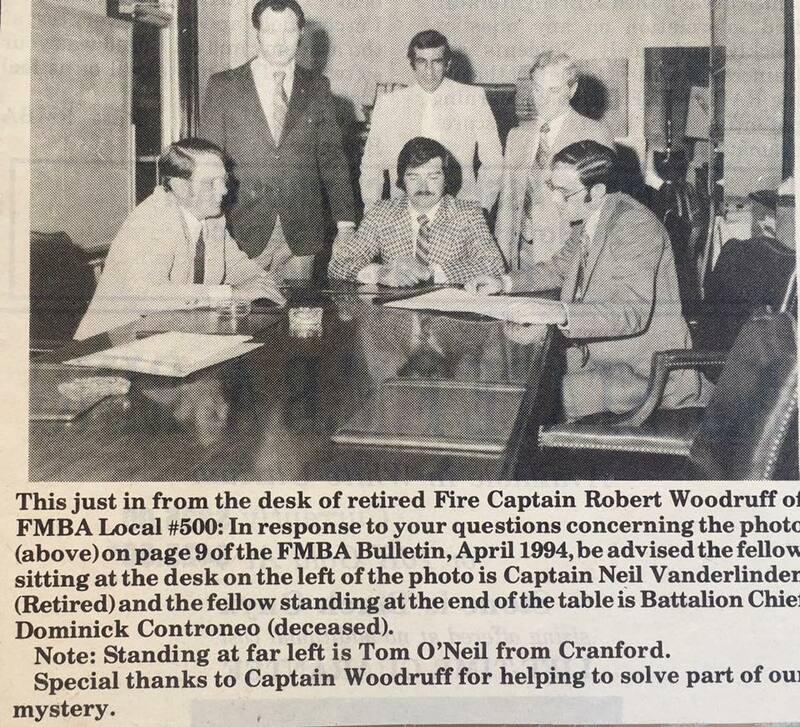 April 1975 - NJ State FMBA News: The photo below depicts FMBA president Joseph White as he signs a three year written contract with the city of Paterson: the first in FMBA history. 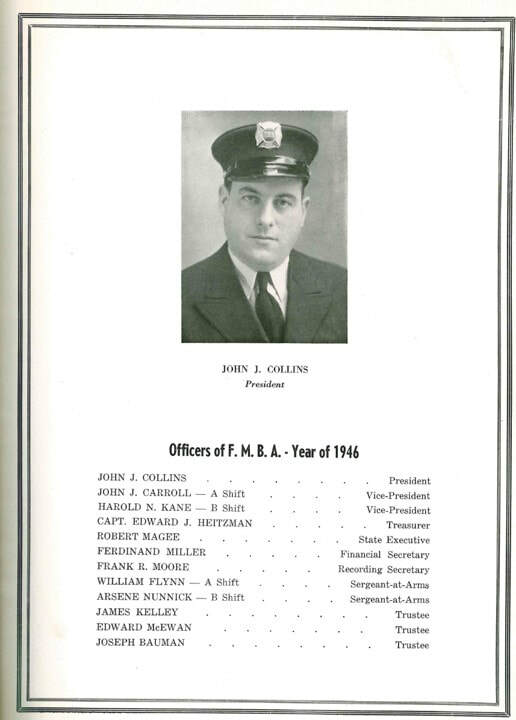 Also seated is city negotiator Leonard Jacobi. 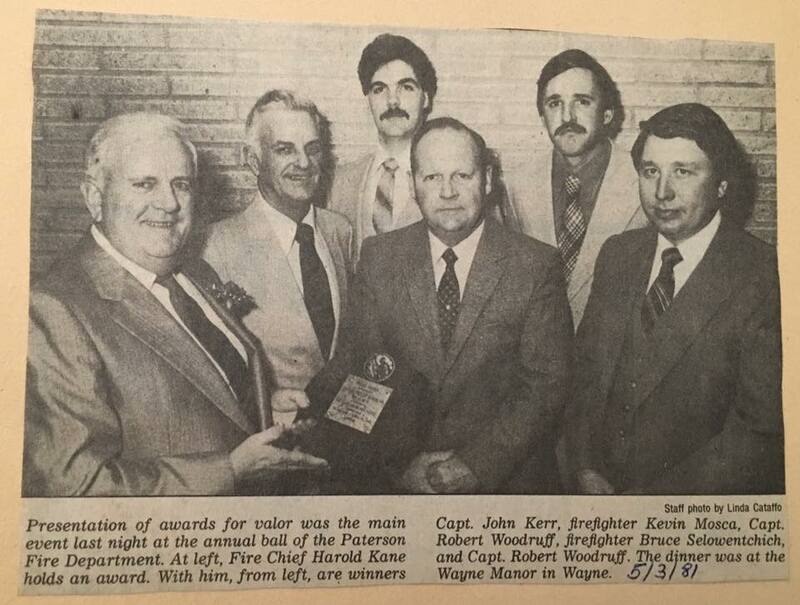 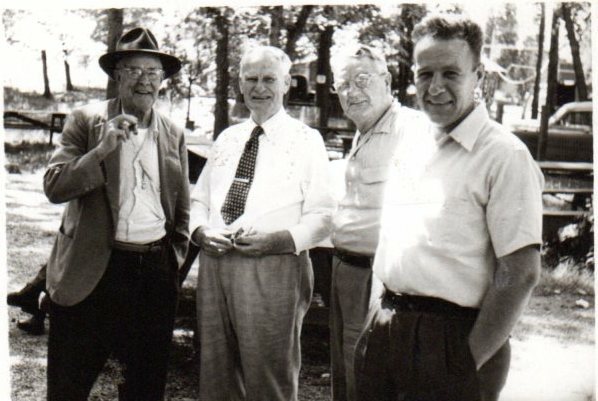 Standing L-R: Jerry Sloginski, Don Silvey of the state FMBA labor committee, vice president Mike Ross, Trustee Gary Knoor, William Filipelli, Public Safety Director William Forbes. 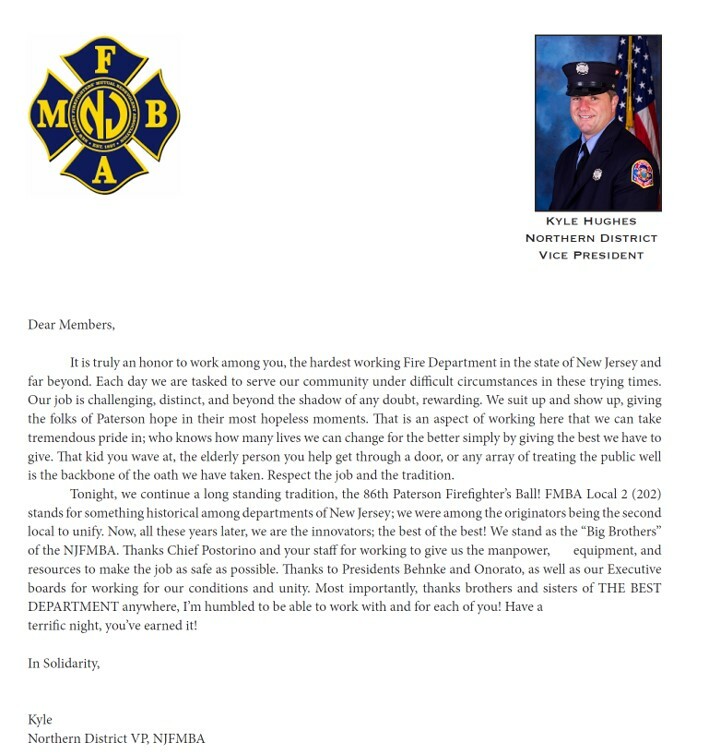 Trustee Nick T. Riccardi and John Chussler of the state FMBA labor committee. 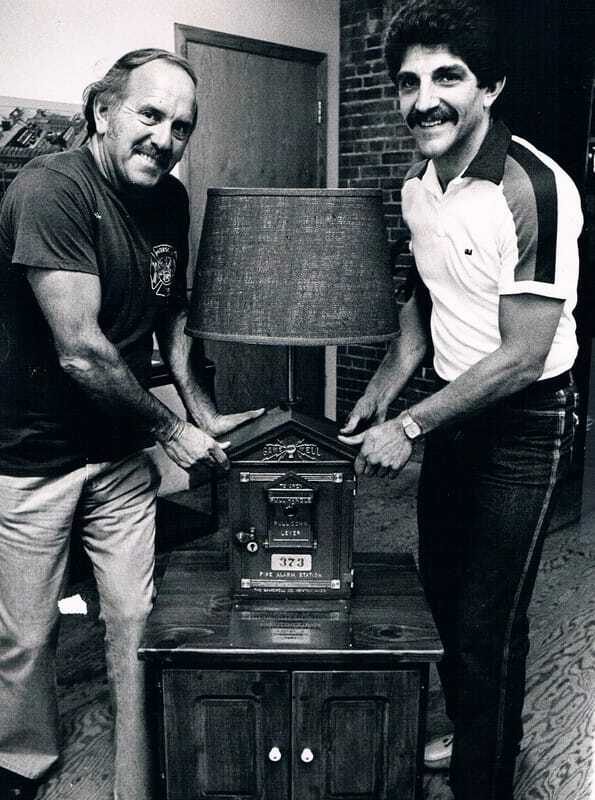 1977: Kneeling is Bill Fillipelli. 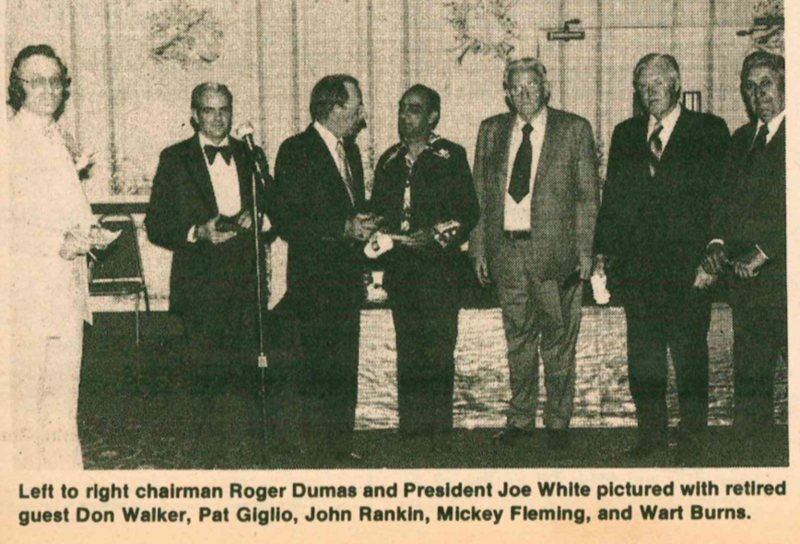 Behind him is Mike Ross and to Mike's left is Howie Morcum and to Mike's right is Jack Gregg. 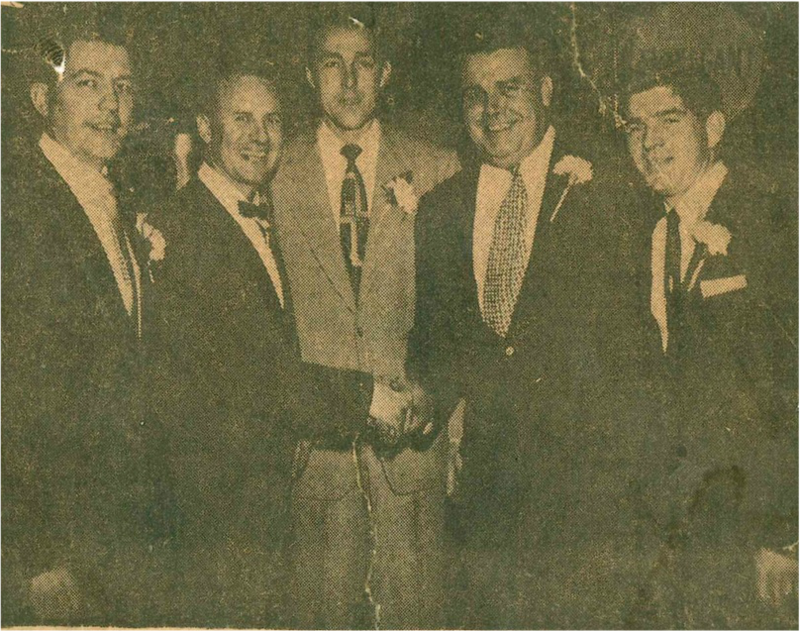 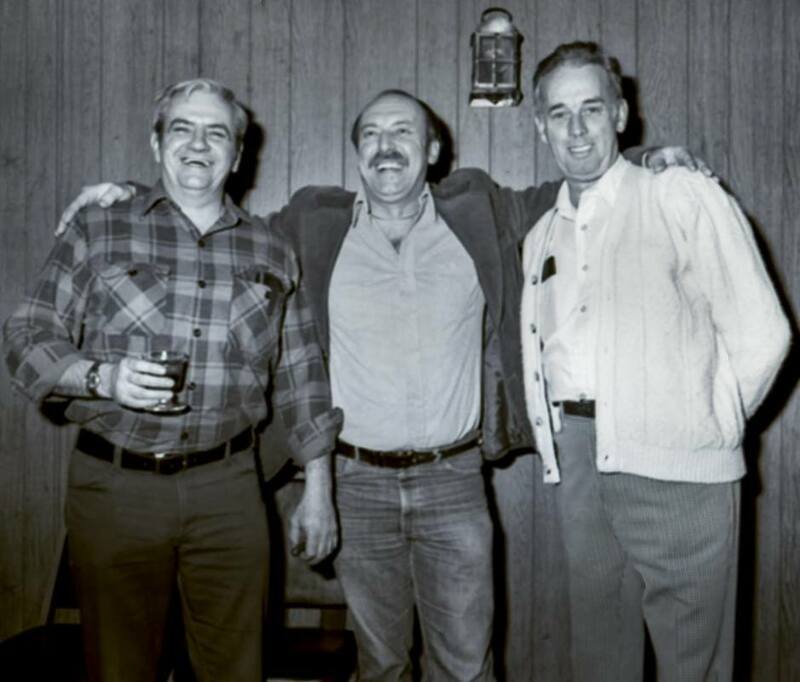 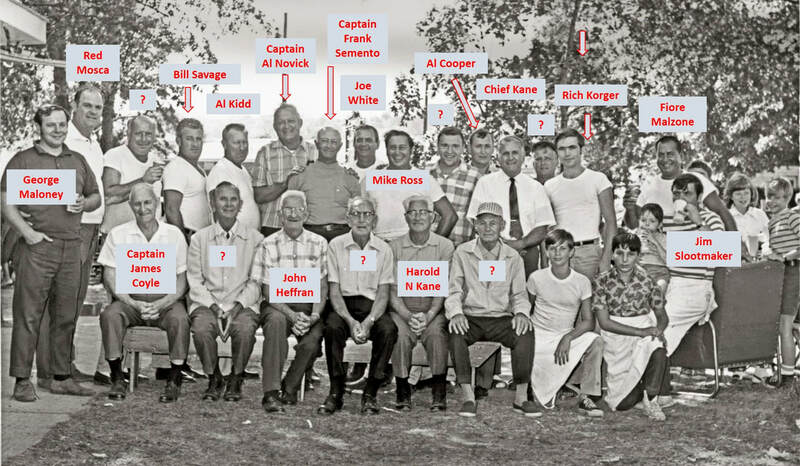 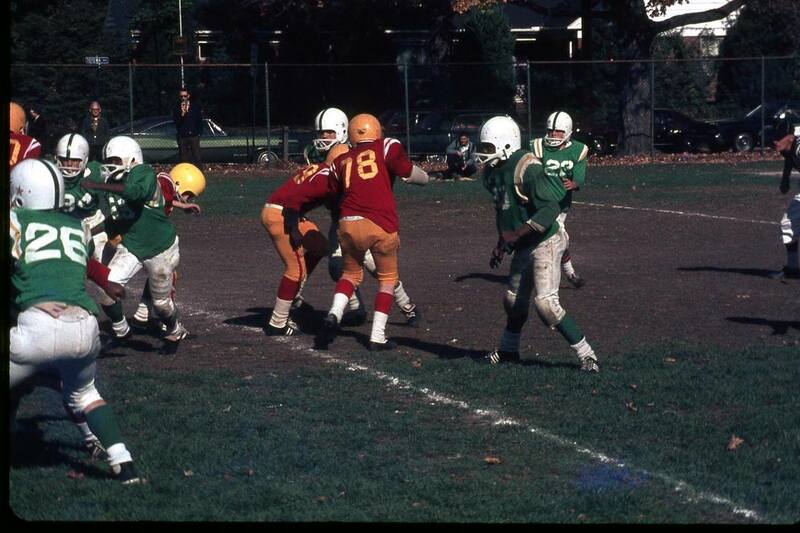 Forefront at right is Fred Ricciardi and Joe Parkin Sr. and between them to the rear is John Alexander. 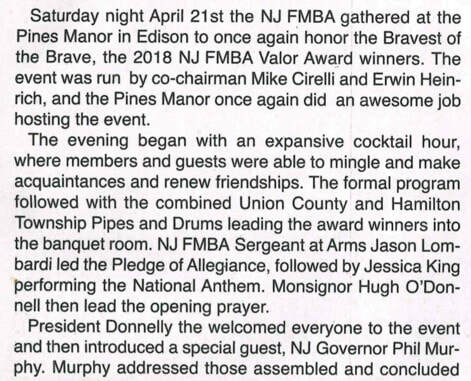 April 21, 2018: the New Jersey FMBA presented their annual Valor Awards. 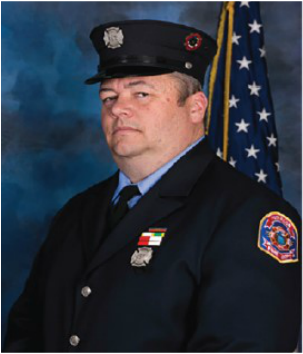 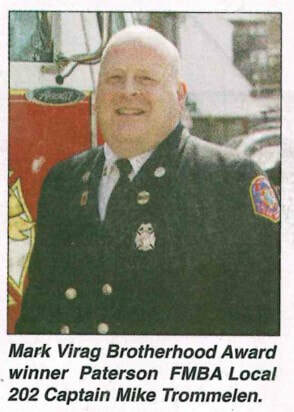 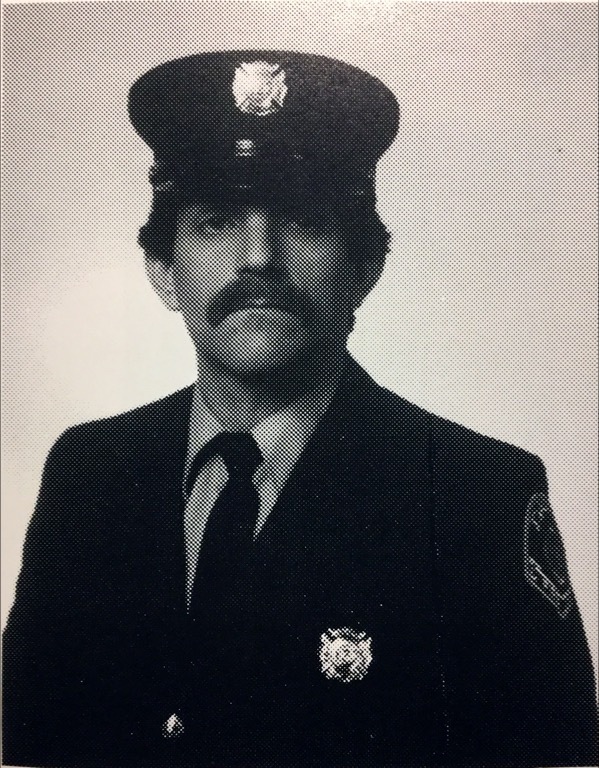 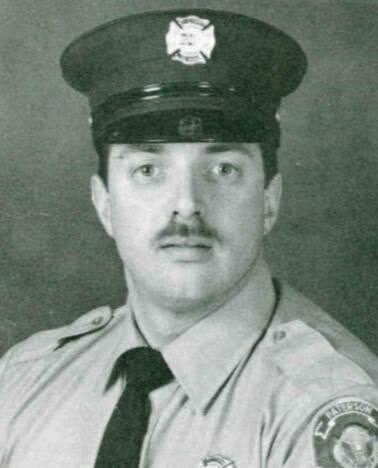 Captain Michael Trommelen (Paterson FMBA Local 202) was the recipient of the Mark Virag Brotherhood Award for outstanding service and contributions.